Antica Sambuca is the number 2 brand among Sambucas worldwide and a genuine Italian original from the Rossi D’Asiago distillery. The Rossi D’Asiago distillery is an Italian family enterprise located between Venice and the Dolomites. The origin of the company dates back to 1868, and the company has been particularly characterised in recent years by the innovative and contemporary owner Francesco del Toso. 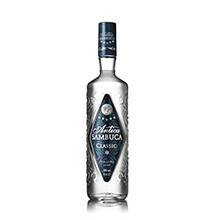 When Antica Sambuca was reissued in 2004, the mission of the family enterprise was the renewal of the “old” category Sambuca and the transition into a new era as well as addressing a younger target group. 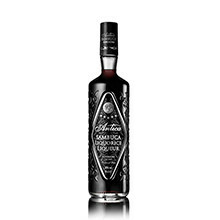 Today Antica Sambuca stands out from the masses with a classy, modern and eye-catching bottle design. The innovative Pro-Pour pourer in every bottle, which also makes it possible to pour like a bar professional at home, is also as unique as the bottle. The special features, but also the high quality of natural and selected ingredients such as star anise, herbs and spices, make Antica Sambuca the most-awarded Sambuca of recent years. The Italian original launches the first flavoured Sambucas on the German market. 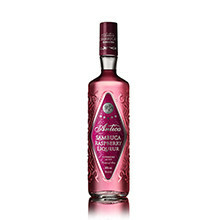 Antica Raspberry and Antica Liquorice convince with a pleasant and fruity raspberry flavour or the intense aroma of anise and liquorice. Antica Sambuca is a unique brand with many facets – versatile as a shot, “on the rocks”, in cocktails and mixed drinks or for refining desserts.